Handmade by Turkish artisans from 100% cotton, this lightweight towel allows water to absorb quickly, accommodates heavy usage, and will become softer over time. 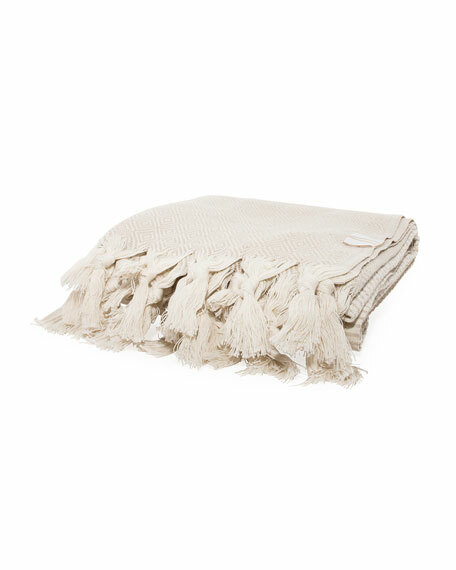 The Medi Havlu is great as a throw, shawl, towel and more. Wash in cool water and tumble dry on low. Vie Healing represents a holistic lifestyle that goes beyond fads and quick fixes. Merging the wisdom and knowledge of the East and West, the brand offers a variety of products created for those seeking wellness of mind, body, and spirit.